Our mission is to empower every individual to realize their values and ideas faster, and to make progress in human civilisations. Based on strong computing power of blockchain, simplified distributed computing (DC) and artificial intelligence (AI) platform, we create a multi-win and equal cooperation model where creative designers, computing power suppliers and developers are able to achieve a sense of achievement with sufficient rewards. We previously talked about the prediction of baseball game in Taiwan. Now we continue demonstrating how iMLOv platform makes predictions in the field of sports game. Choose the CPBL Games, and you will get a compressed file. In which you will get 3 excel files. After entering in iMLOv platform, you will see the brief introduction. You can just click the “next” button right down of the page. 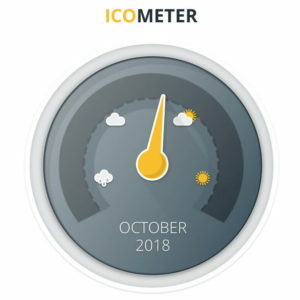 Because we have not reached the threshold of public sale, according to our business whitepaper, the smart contract will automatically prolong the sale to the end of October. We hope everyone keep promoting and supporting us!!! Usually, we predict which one will win based on the historical records of each player. However, perhaps what really influence the result is the weather of that day, location, date of the game, or even the amount of the audience! Today we went to Shenzhen, China, to meet investors and cooperative partners.